An extra-strength version of our patented #1-selling alpha beta daily face peel on pre-soaked cotton towelettes. 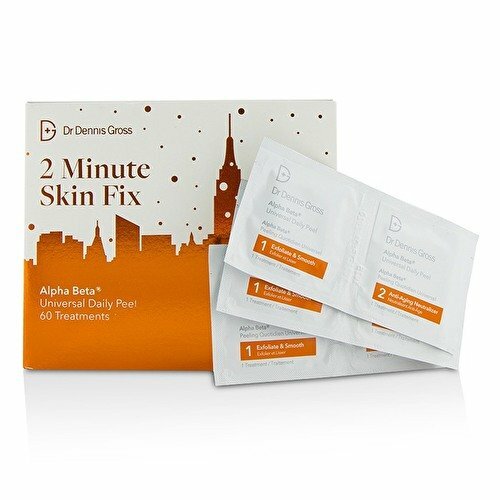 Higher concentrations of alpha beta acids plus newly added anti-aging boosters, including mandelic acid and willow bark extract, deliver a stronger peel without risk of irritation or recovery time. If you have any questions about this product by Dr. Dennis Gross Skincare, contact us by completing and submitting the form below. If you are looking for a specif part number, please include it with your message. iS CLINICAL Super Serum Advance+, 1 fl. oz. StriVectin-AR Advanced Retinol Concentrated Serum, 1 fl. oz. Elizabeth Arden Prevage Anti-Aging Daily Serum, 1.7 oz.